1. Q is really into stacking things, like the spice bottles from the cupboard. He gets so frustrated if they fall over. 2. 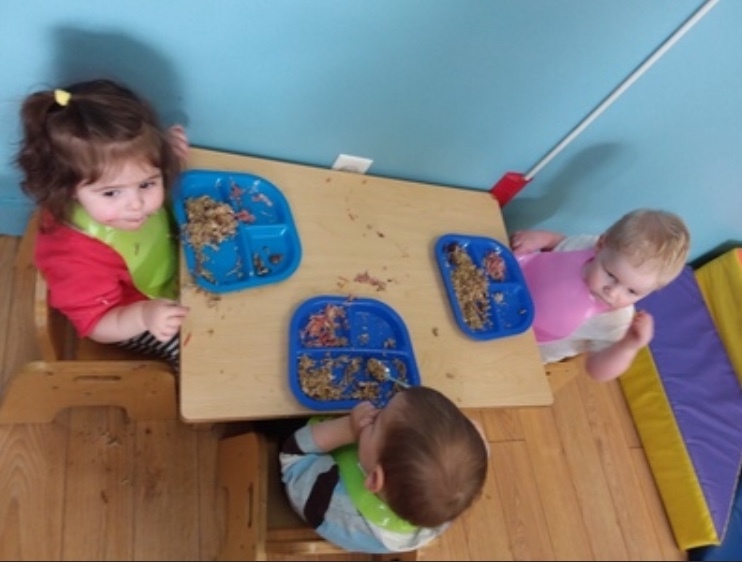 The daycare took a photo of him sitting at the table with his friends for lunch the other day. 3. His molars are starting to come in resulting in some painful meals. He doesn't always want to eat his meal so we end up giving him something soft like bananas, yoghurt or apple sauce. 1. E's school work has greatly improved this year. He also got a good mark for reading some common French words. This is one of his assignments from before Christmas, I love the detail on the clothes. 2. His ski lessons have started and he is racing this year. He's having fun so far. 3. He's also working on building things. He used some of his Christmas money to buy another Ninjago Lego set that has a Lord Garmadon figurine, and he's also got a metal robot to build that he got for Christmas. 1. 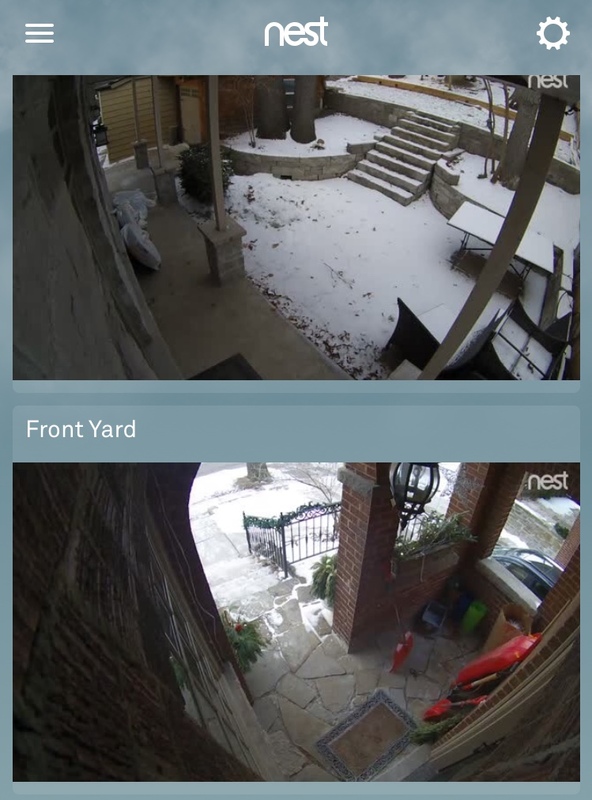 I gave Dave the outdoor Nest cameras for Christmas this year. We have one at the front door and one at the back door. So far the major activity on the back yard was when the squirrels finally knocked down the bird feeder and feasted upon it. 2. We are slowly on our way into buying things at Costco. I went there this weekend and picked up some school snacks and laundry soap. If we had a bigger freezer and pantry then I could see buying more, but most things are just too big for our house. 3. We are making our way through the Comedians in Cars Getting Coffee episodes on Netflix. I think I like them more than Dave but he likes them too. I could watch my favourite ones over and over - Julie Louis-Dreyfus, Larry David, Jimmy Fallon, to name a few. Yes storage for costco stuff is hard. So are molars. Now i want to watch that netflix series!